Disclosure: I am an affiliate with Get Away Today. All thoughts and opinions are my own. You may be as surprised as we are that we are going to Walt Disney World in a week! The whole process of our trip happened very fast, but with the last month being quite a hectic one I can’t wait to have some quality time with my family in our favorite place to visit! First off, I wanted to say that this trip wouldn’t be possible without the help of my go-to travel agency Get Away Today. Just as their name implies, they were literally able to help me get away FAST. The agents there worked with me over phone and email to find the perfect on-site accomodations, as they’re experts in seeking out the best deals! We are staying at Port Orleans, French Quarter next week for four full days (3 nights). Having been to Walt Disney World a few times, I thought I would share our tentative itinerary, so if you are also maybe going to Walt Disney World Resort in a short amount of time you can have some guidance of how to do it. We won’t be able to see EVERYTHING in 4 days, so I have created a plan to outline highlights, and how to fit in a lot of good stuff without feeling rush and overwhelmed. Visiting Epcot the first half of the day. We are going to walk around to experience the yummy foods at Festival of Holidays, as well as try to get on Frozen Ever After. Visiting Toy Story Land in Hollywood Studios for the second half of the day. Since I have never seen Toy Story Land, this is a must for me. I’m just going to be primarily experiencing Toy Story Land while there. If you have only half a day in Hollywood Studios, I would recommend Toy Story Land, and maybe grabbing drink and apps in the Brown Derby Lounge (you don’t need reservations for this), and then ending the night by seeing Fantasmic. Animal Kingdom first half of the day, and to take advantage of extra magic hour at 8am. We are headed to Pandora: World of Avatar first to go on Flight of Passage (it’s an absolute MUST) then Nav’i River. Then we are going to see Finding Nemo the Musical. Magic Kingdom second half of the day. We are going to take this time to explore Magic Kingdom and go on rides based on wait times, without the pressure of going on certain rides (we will aim to do big ticket rides when we go first thing in the morning). We are going to end the day seeing the castle light up, and eat dinner at Pinocchio’s Village Haus since it overlooks Small World. It’s one of my daughter’s favorite quick service restaurants, and is nice scenery that doesn’t require reservations. Since this park has the most rides, I like to have a day and a half to do this! We are going to go first thing to go on Snow White before there’s really crowded lines. Since our first day was mainly to see Festival of Holidays, this would be a ride day and to really browse the shops of the World Showcase. Only park hop once (or not at all) each day. It is too exhausting and you feel rushed if you try to park hop more than once, so I can’t stress this tip enough! Try to have a couple table service meals during your trip. I feel ending a couple nights during your trip with a table service meal is a great way to unwind so you take time to relax, rather than just go, go, go. Get a locker! In Florida, it can be humid, it can be rainy, it can be ever-changing! Especially in winter we have made the mistake of underdressing and being too cold. I find it worth it to bring umbrellas, ponchos, puffy jackets, and put it in a locker so you have it easily on hand. Stay on property. I feel like it saves a lot of time with transportations since there’s monorails, buses, Minnie vans, boats…and they are always running! Plus it’s nice to not have to pay an extra fee to go to and from the airport and parks. Also, you get extra time in the parks since you get Extra Magic Hours when you stay on property. And there you have it! 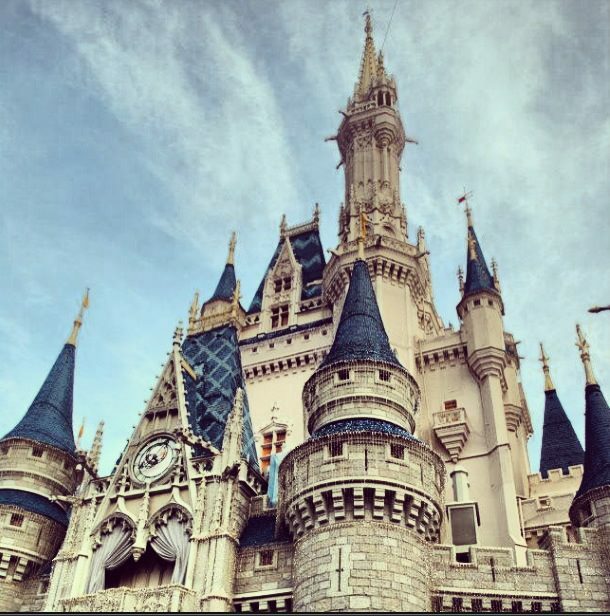 Be sure to follow along on Instagram to see our Walt Disney World adventures! And to book your own last minute trip with the best deals, visit Get Away Today or call 855-GET-AWAY and mention that The Healthy Mouse sent you!